The solar thermal market in Cyprus started growing again between 2014 and 2016 thanks to a building sector that was gradually recovering from the financial crisis of 2008. In a report titled Cyprus Solar Thermal Market Analysis (see the attached document), the authors noted that the industry had produced and sold 37,922 m² of collector area on the island in 2016 while importing another 24,248 m², most of it from Greece and China, which adds up to a total of 62,170 m². 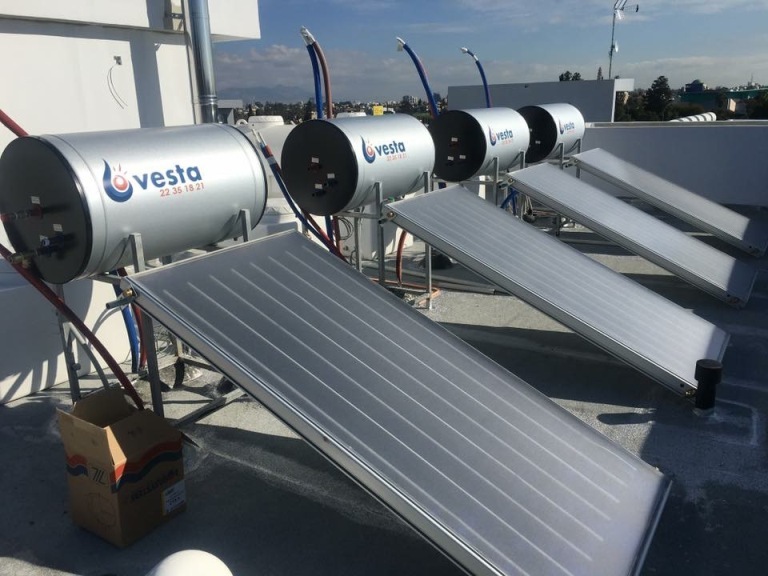 In 2017 and 2018, sales had continued trending upwards, as per Vesta Solar Heaters, one of Cyprus’s major manufacturers of solar hot water systems. Solar water heaters are a common sight on the island of Cyprus, where over 90 % of all households use sunlight to meet their heating needs. The stop-go cycle of the incentive programme which supports the replacement of solar water heaters and collectors had little impact on growth. “Very few of our customers apply for incentives when they have their old system replaced,” Frantzi said. “By not applying, they avoid the paperwork and won’t have to deal with delayed grant payments. All in all, the support scheme is not very efficient. It would be more attractive and useful for investors if it ran the entire year and the government allocated a larger budget for incentives,” she added. The national grant programme was relaunched nearly a month ago, on 17 December 2018, following a hiatus of more than a year. Its EUR 300,000 budget should be enough to support about 1,000 systems. Replacing a Solar Keymark-certified installation is being supported with EUR 350. Those replacing installations without a Keymark label are paid only EUR 325. Solar energy greatly contributes to meeting Cyprus’s climate change targets, the Association of Solar Thermal Business Owners (EBHEK) was quoted as saying in the document mentioned above. The island’s solar thermal systems generate total savings of about EUR 48 million – money that would have otherwise been used to pay for imports of heating oil. EBHEK, one of Cyprus’s oldest industrial associations, was founded in 1977. It comprises 23 manufacturers and suppliers of solar hot water equipment. The industry’s turnover has risen steadily in recent years, totalling EUR 10.6 million in 2016.